Cars of the early 1900s only had one seat, but it was able to hold two or three people. 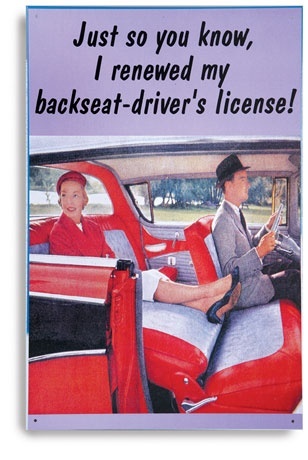 When back seats were eventually added, they were too far back to effectively have a conversation with the driver. All of that changed with the introduction of the 1912 Essex coach, which featured a box-like enclosed body that made it easier to talk. Passengers started taking advantage of the opportunity to talk to the driver from the back seat, including how to drive thus the saying began.